What a bounty this week!!!! 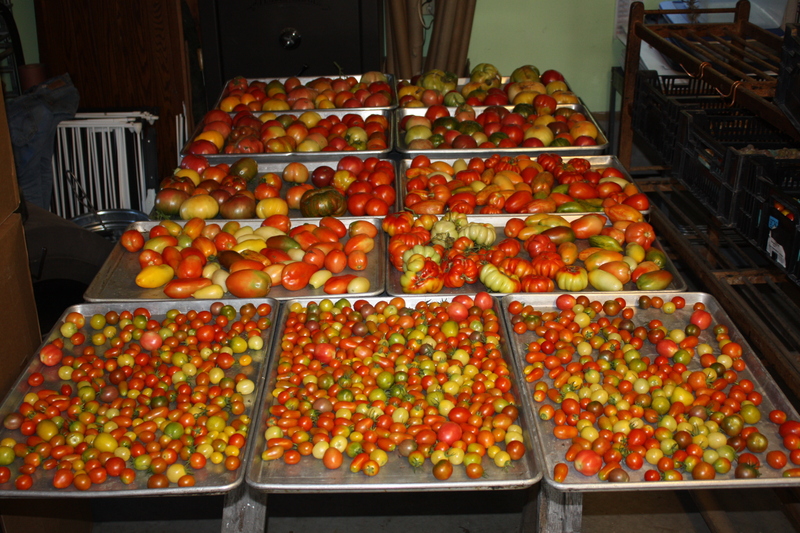 It sure seems with the days of August come the gigantic harvests from the garden…. Lettuce-It’s back!! and it is delicious too. This variety is called Tropicana. Lots more in the “extra” area too if you want more for the week. Cucumber Assortment-A nice sized box again this week and several long skinny slicers too. Peppers-All sweet again except! a few of those tiny hot jalapeños. Eggplant-This is the true wonder of the summer for us! The plants are loaded with fruit. Zucchini-A few again this week as we are still on “rations” due to that terrible vine borer bug that took out so many plants. The new crop looks good and coming on strong. Cherry Tomato Box-Beautiful Heirloom assortment. Tomato Slicers/Paste- Take all you wish of these beauties. Carrots- A 2 pound+ bag of assorted colors. Watermelon-Tons! to choose from. 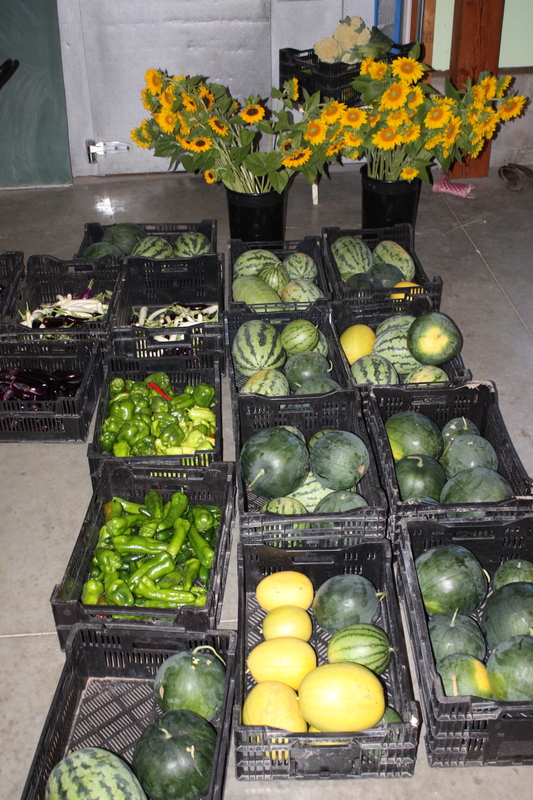 An amazing harvest….My other big goal of the year we met. This is the crop I have been the most excited about this season. Sunflower Bouquet-A pretty collection for everyone! Enjoy Cut the stems daily to prolong the life of the bouquet. The garden is thriving and the last of the Fall crops will be in by the end of the week (hopefully)….except for the radishes, turnips and spinach which we will plant in a few weeks. 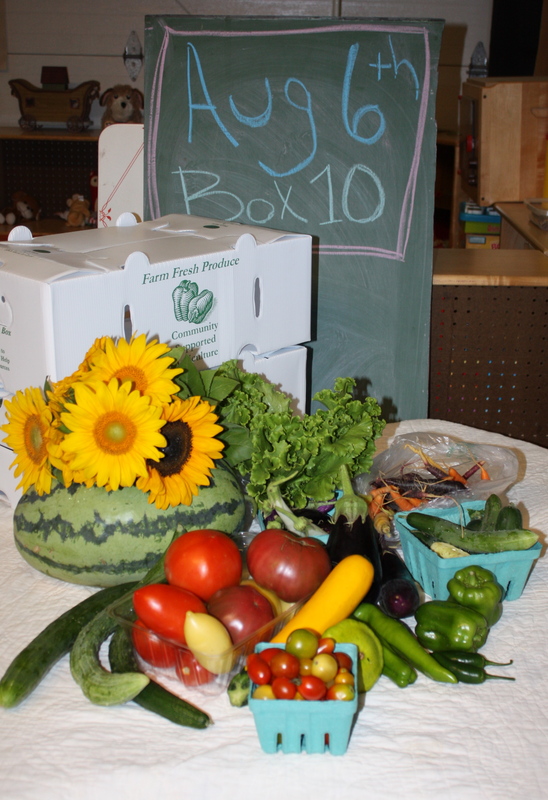 The bounty coming in from the garden…. 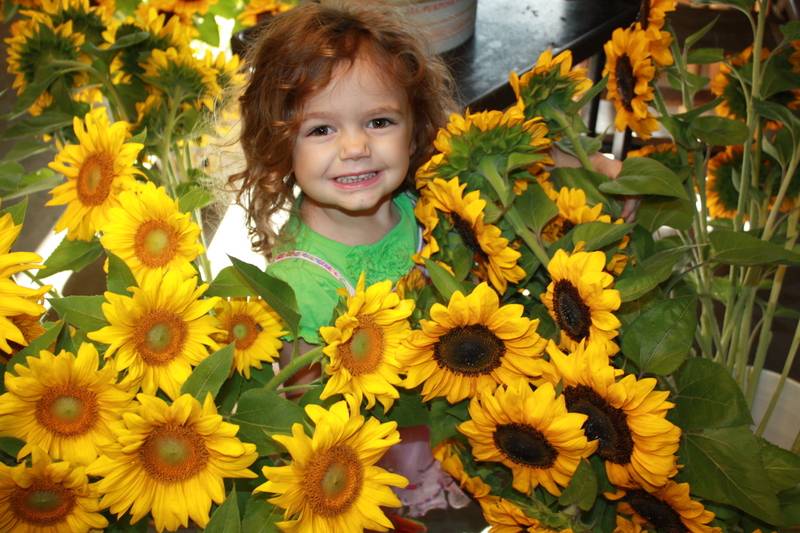 Maeve wanted me to take her picture with the Sunflowers.